The parallel shape modular kitchen also recognized as the passageway style of kitchen, in this design you can have your appliances, cabinets and sink on two parallel walls to make a minute way between two sets of cabinets in your kitchen. It is simple to arrange a well-organized work triangle in parallel shape kitchen design; however, this design truly caters to one cook. 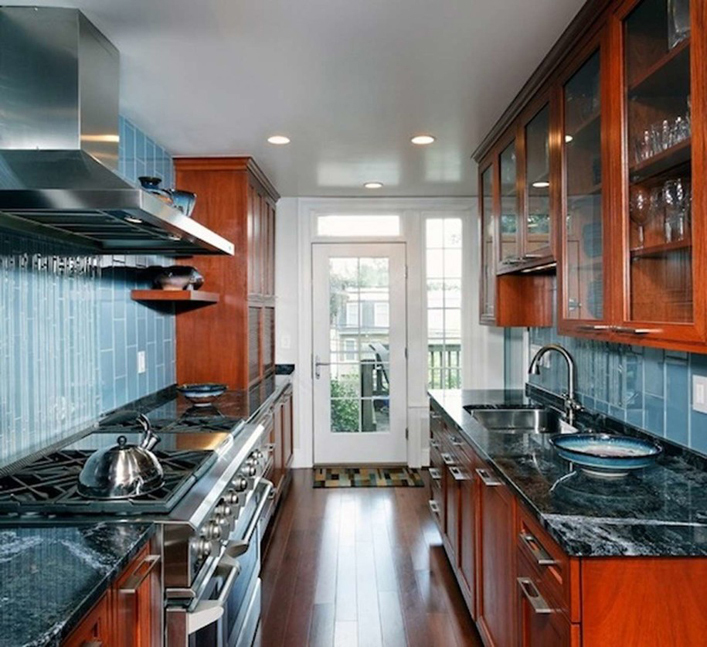 Parallel shape modular kitchen design is primarily the product of requirement. This type of design frequently adapted where the apartment size is small, so that by implementing parallel shape modular kitchen design will help in space for other rooms. Allow 48 inches of aisle after installation of all the appliances and cabinet’s one can easily open the doors of cabinets and other appliances. If possible try avoiding the main appliances directly opposite to each other. This will create chaos if two people want to use both of those two appliances. As far as storage is concerned in parallel shape modular kitchen, it’s really a challenge to find that. To resolve the storage issue tall units can be place that extend to the maximum.